Trunnion bearings are very specialized bearing mechanisms. Sometimes, a shaft not only has to rotate, but the assembly connected to the shaft has to rotate as well. Other times, the shaft (trunnion) has to be free to move around in circular motions. A specially designed bearing allows for the specific movement of the trunnion. Lubrication of the trunnion bearing is essential to reduce wear on the moving parts. 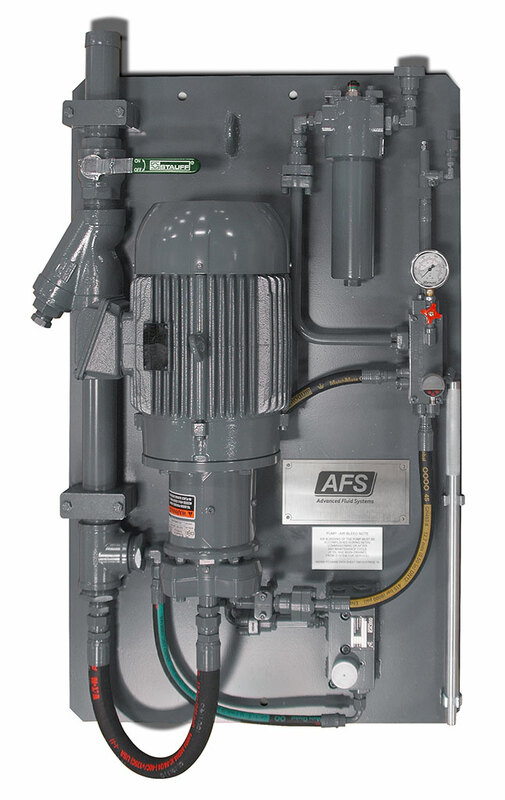 Meeting the customer’s specifications, AFS manufactured two vertically mountable hi-lift trunnion bearing lubrication skids. The unit is rated to operate at 6000 psi/413 bar thus pressurizing the bearing housing, lifting the trunnion and creating a minute space between parts. The moving parts are supported by a thin layer of fluid alleviating metal to metal contact. Mounts vertically on a wall or larger equipment. 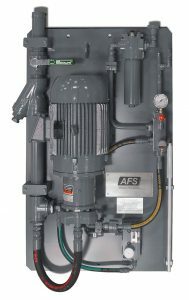 Advanced Fluid Systems can design and manufacture systems specifically to your needs or unique application. Contact us to see what we can do for you.